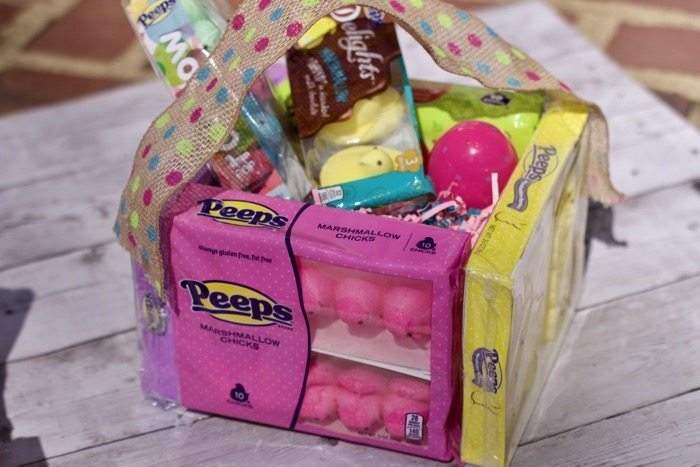 Thanks to Peeps for sending us a box of sweet treats to create these Peeps Candy DIY Easter Baskets for anyone who loves the classic Peeps Candy. 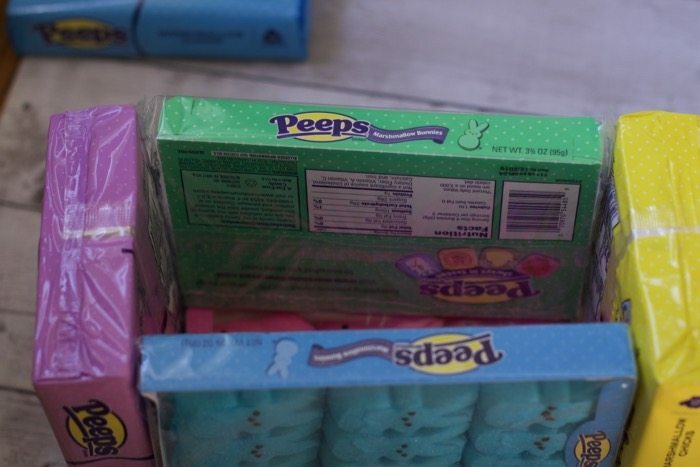 Even though Peeps are available year round, there is something special about the traditional marshmallow bunny and chicks candy. 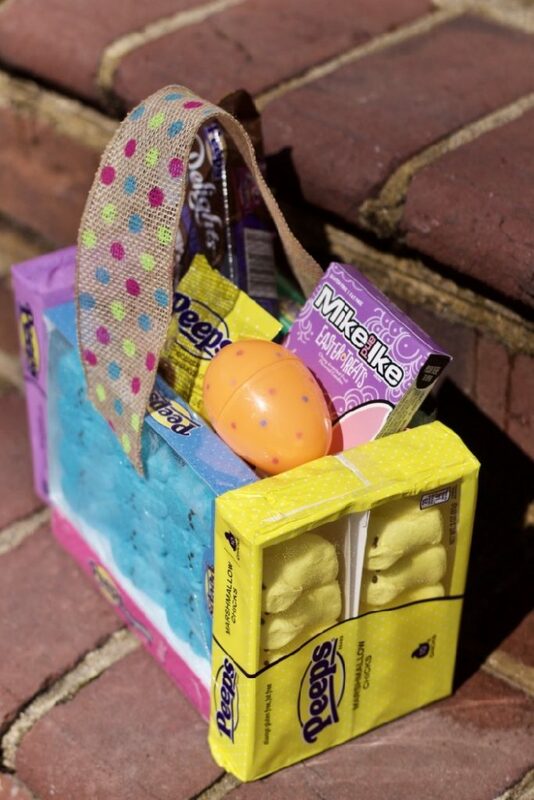 Create these adorable and super easy Peeps candy Easter Baskets for anyone this season from teachers to grown kids. Don’t want to give them away, then make a fun Peeps Vase or Peeps Treats or Peeps Smores. 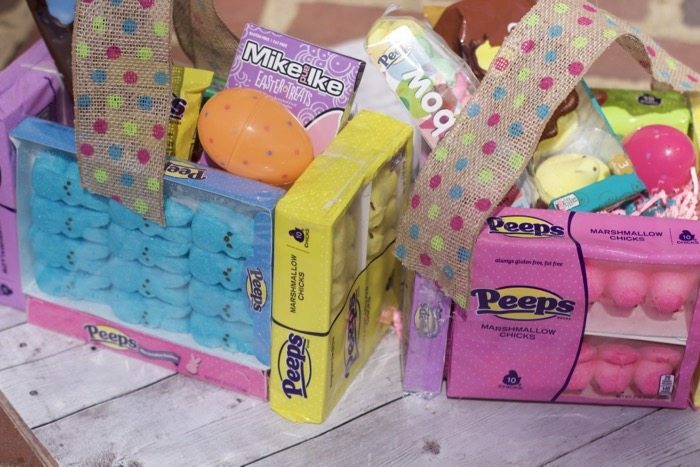 We made two different shaped Peeps Candy Easter Baskets. One using more of the bunny peeps and one using more of the Chicks. It just depends on how you wish to make your basket. The base of the basket will determine it’s shaped. 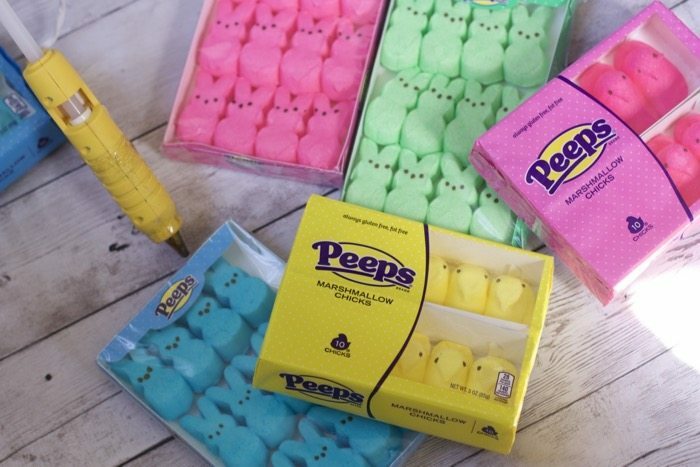 Use a glue gun to attach the boxes of Peeps to one another. You will need to press on them slightly to allow them to dry. You can see I did not press on these corners enough so I had to add another application of hot glue. Fill the inside with shredded paper and attach a ribbon handle. 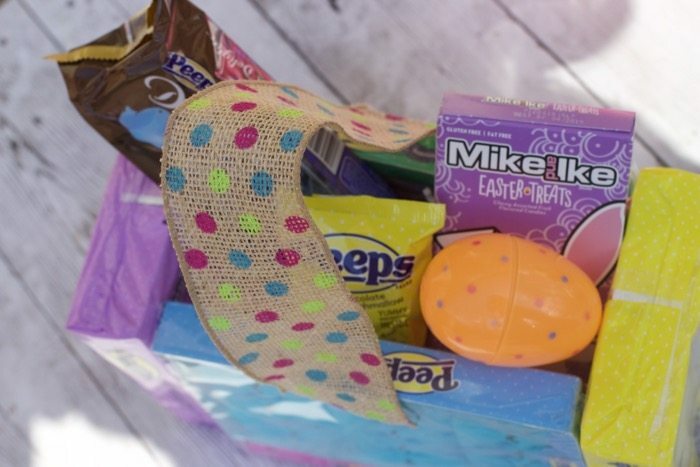 Of course, you need to add more Peeps and Mike and Ike candy to your basket. 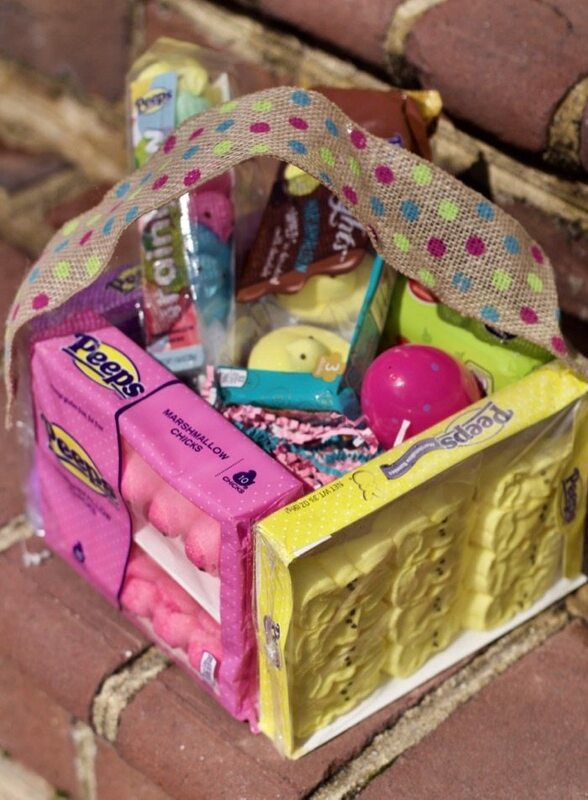 Here is the Square Peeps Candy Basket Idea. Just mixing up the types of boxes we used. We gave one of these baskets to our friends who were driving through town on a college tour. Every road Spring Break road trip needs some Peeps to keep everyone alert, parents included. So which do you prefer, square or rectangle? 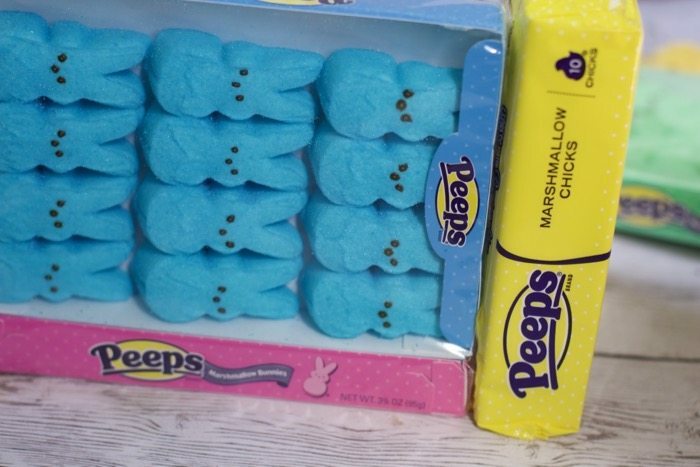 What are your favorite Peeps Candy? 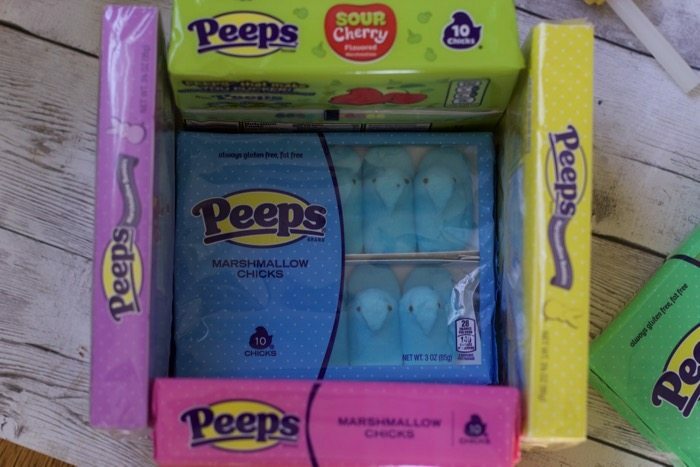 You can find all of these PEEPS® Easter offerings at your local retailer or Www.peepsandcompany.com and enter EASTER18 for 20% discount on merchandise.